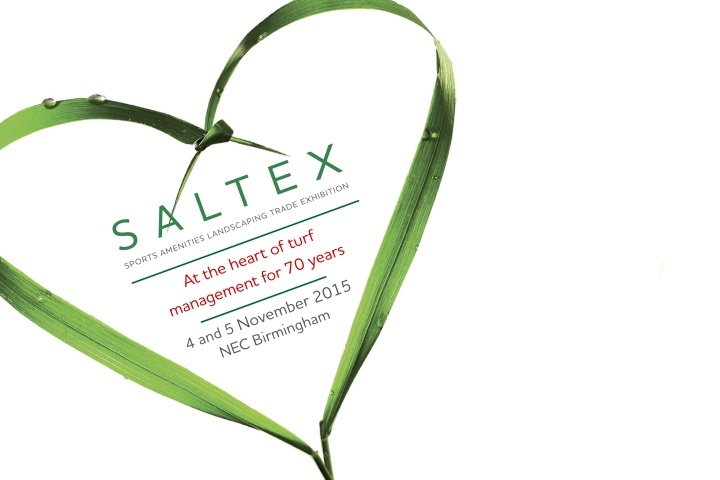 More than 250 exhibitors attended the 70th edition of Saltex this year following its move to the NEC Birmingham and Harrod UK were proud to be one of them. At every opportunity, the Harrod UK team spoke with new and existing customers, promoting the new bespoke design services we have on offer, generating a great deal of interest amongst visitors. 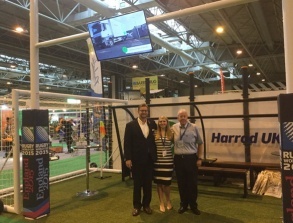 The trade show provided us with an ideal opportunity to launch our brand new panoramic team shelter range, showcasing a 4m version on stand to gain essential feedback from visitors. Designed as a sleek, contemporary alternative to the traditional aluminium shelter, the new curved shape will improve players' views of the pitch making it a big hit! 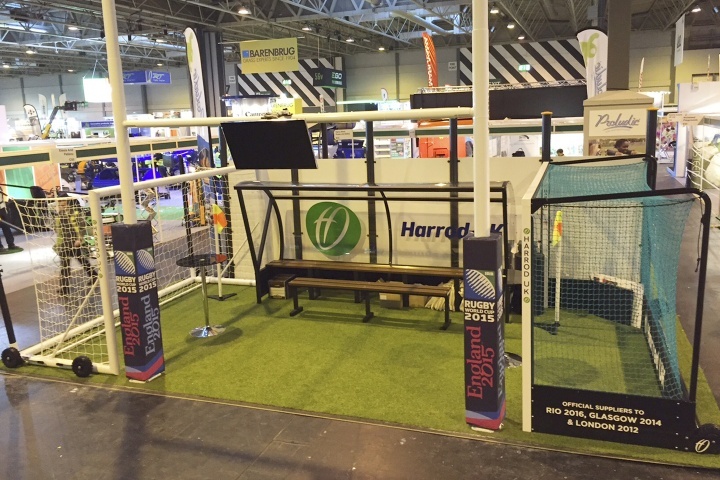 In addition, our stand was designed to display the breadth of our range with a weighted hockey goal, team shelter; football goal and rugby post available to view. With our exhibition stand all packed up and team safely back at Lowestoft, we would like to thank everyone who visited us on stand CO40 at this year's Saltex Exhibition and hope you enjoyed the show. We look forward to seeing you again in the near future. Should you have any questions or inquiries following the exhibition, please do not hesitate to contact the customer service team at Harrod UK via sales@harrod.uk.com.